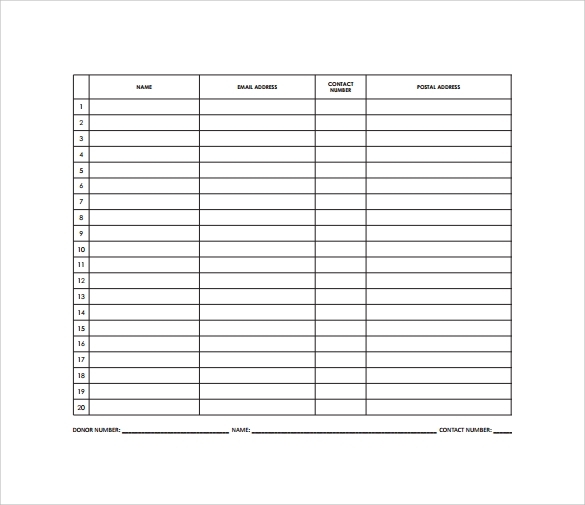 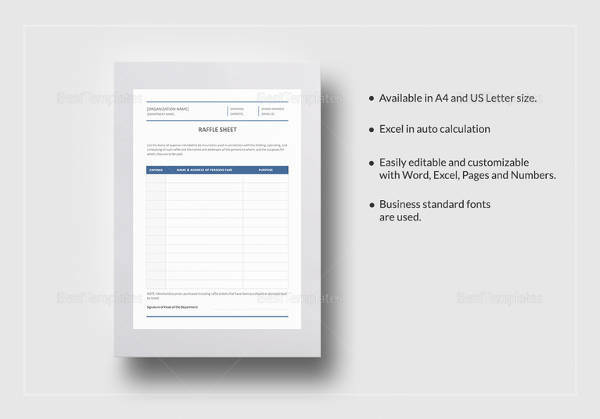 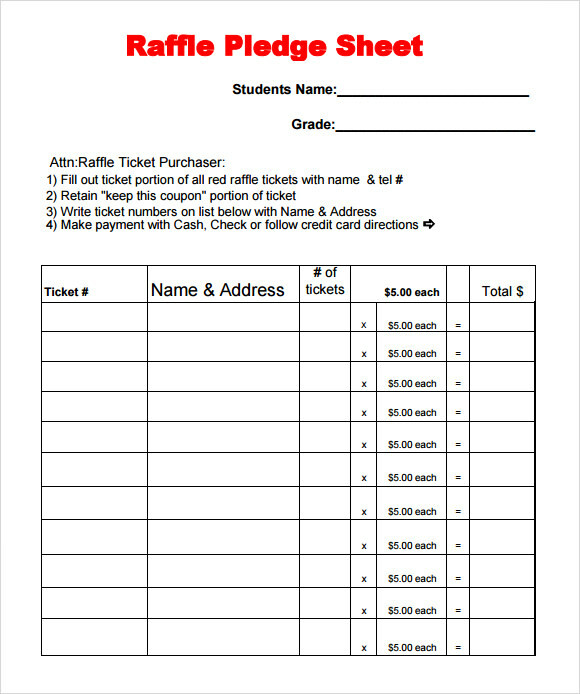 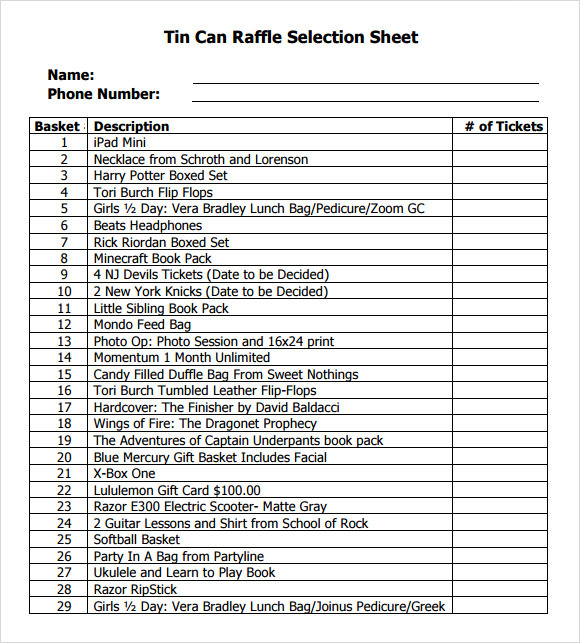 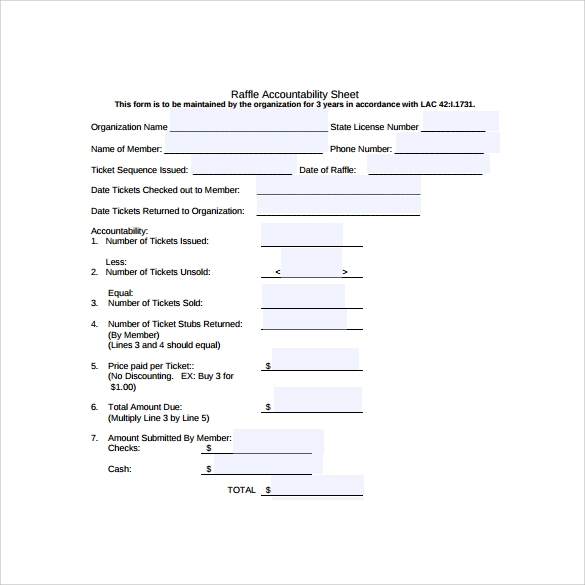 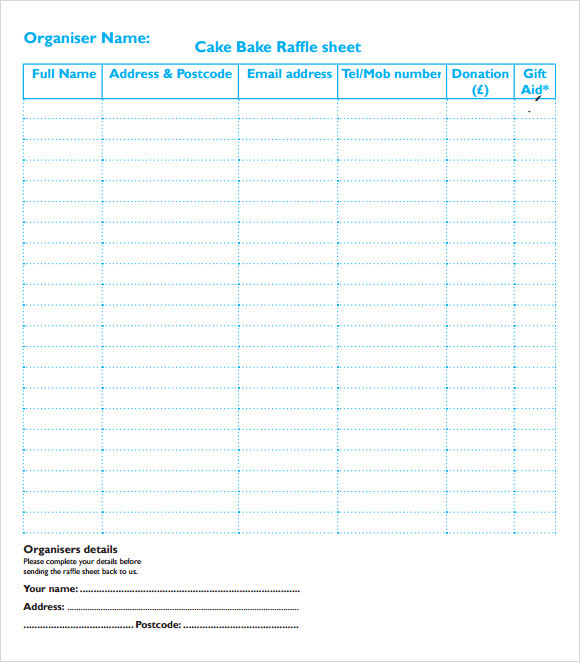 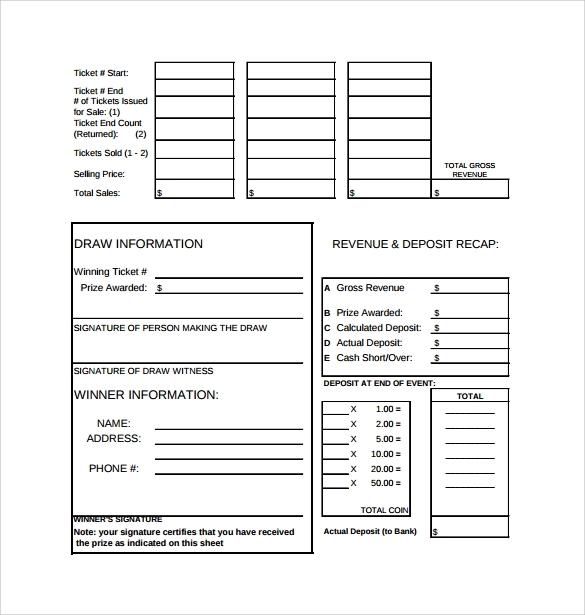 Raffle sheet template is a piece of paper that contains the lottery prize with the list of aspiring winners with their contact details. 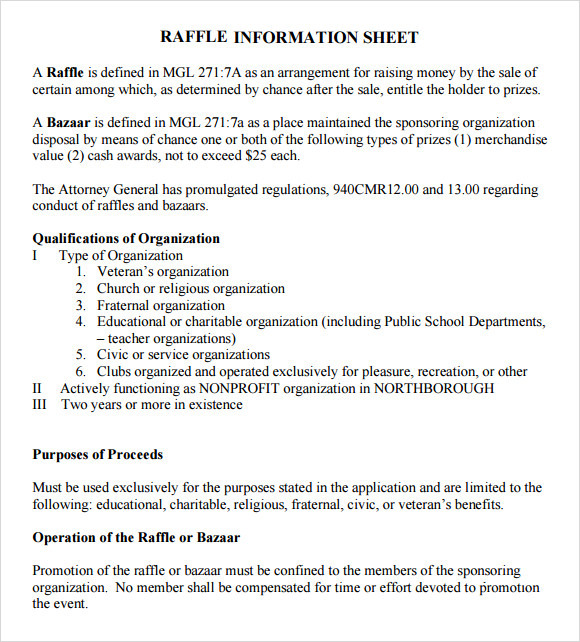 Usually seen in any commercial products and game shows, only specific prizes are given to the selected winners with the set of requirements needed as candidate for the said raffle. 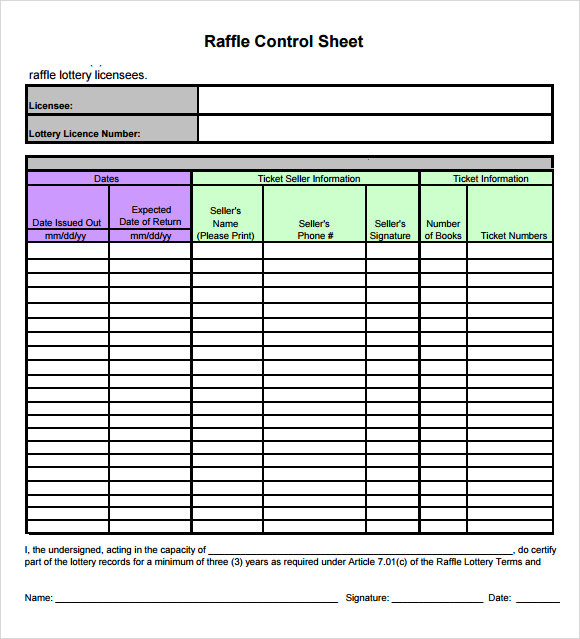 It contains the details of the prizes and below of it is blank numbers with contact details in which interested persons write their names on it and join the said raffle. 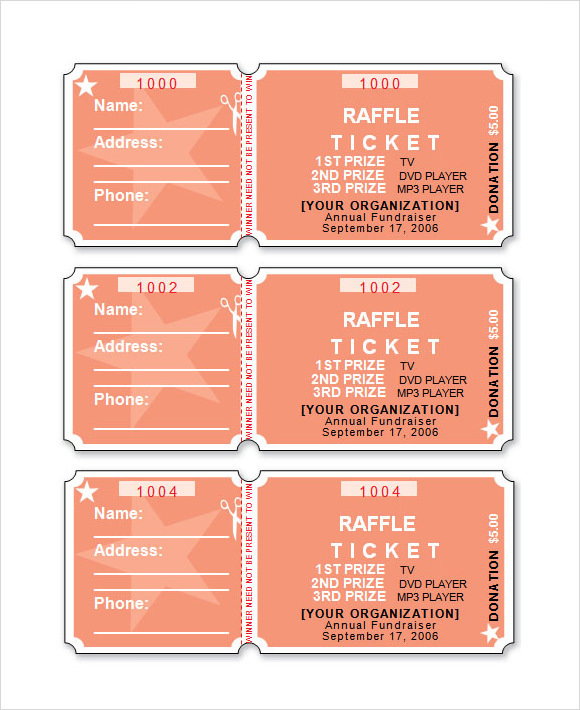 Only accredited and written names are allowed to be in the raffle ticket templates, aside to them no one is allowed to join.